There are a lot of things that go on behind the scenes when it comes to zoos, the animals that live in them, and the people who tend to them. Most of these details concern the safety of animals and zoo keepers alike. Collections managers know it’s all about careful planning, safety, and accessibility. From creative exhibit design that engages animals and visitors alike to behind the scenes holding areas with shift and sliding track doors, all must be considerations. When people go to the zoo, it’s a lot like going to the movies. They see the end product and the surroundings that make the product come to life, but they don’t see everything that happens behind the scene to make every day enjoyable for visitors. At the zoo, visitors see exhibits that have been designed to closely resemble the natural habitat of the animals called landscape immersion, often mixing predator and prey species in the same exhibit with carefully crafted barriers or moats between the species. Even the exit doors from the exhibit to the animal sleeping and keeper areas are discreetly hidden to keep the environment as natural as possible. What the public doesn’t know is that it takes special access gating and hardware for this purpose. 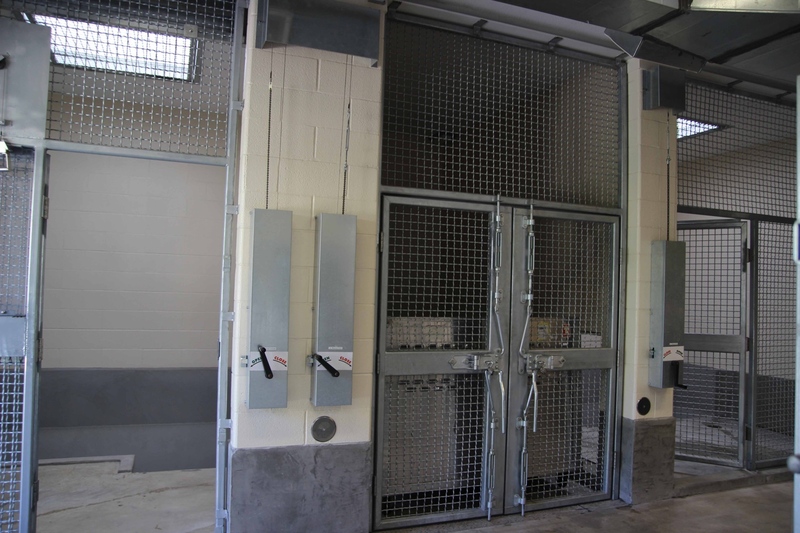 Both horizontal and vertical doors can be controlled remotely with a remote crank operator so the animal can enter and exit the exhibit and holding areas without direct keeper intervention. Closed loop cabling is connected to the door and the crank mechanism. The keeper, safely located in his or her work area, turns the crank and opens the exhibit door so the animal can enter the holding stalls or be moved between stalls so the area can be cleaned. 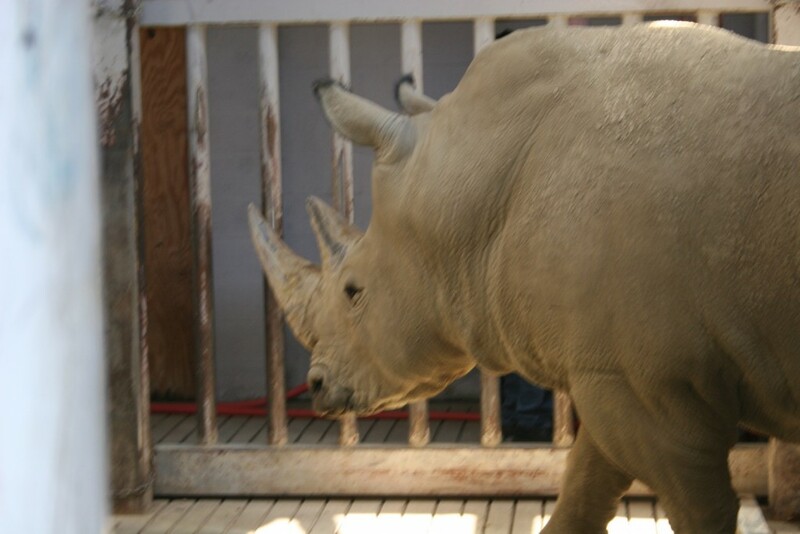 Some of the animals housed in zoos are not dangerous at all. Others are dangerous not by their nature, but by their sheer girth. This means their size and weight give them the potential to do damage without even intending to do it. This is one reason that such careful planning goes into the design and materials used at the zoo. Here’s an example. Holding areas for ungulates (hoofed stock), let’s say zebras that weigh 1000 pounds, do not need to be as heavily reinforced as those for black rhinos that tip the scales at more than 3000 pounds. 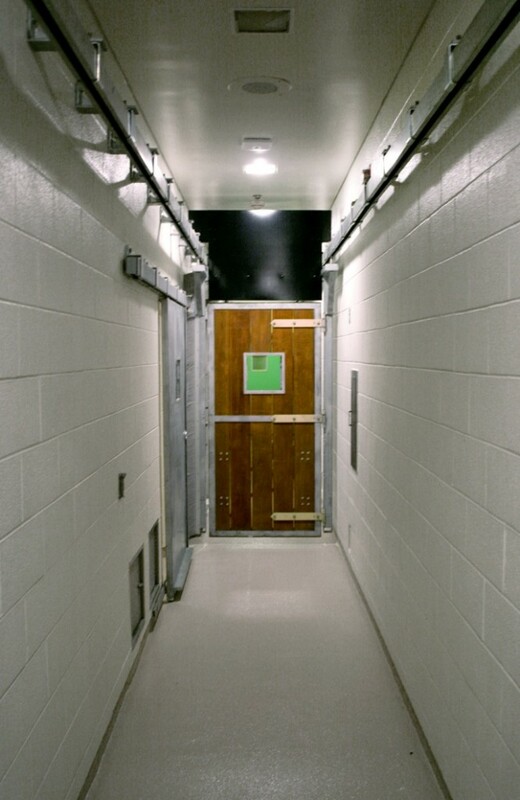 Access doors and hardware for each would be designed differently in the scale and durability of the product used. 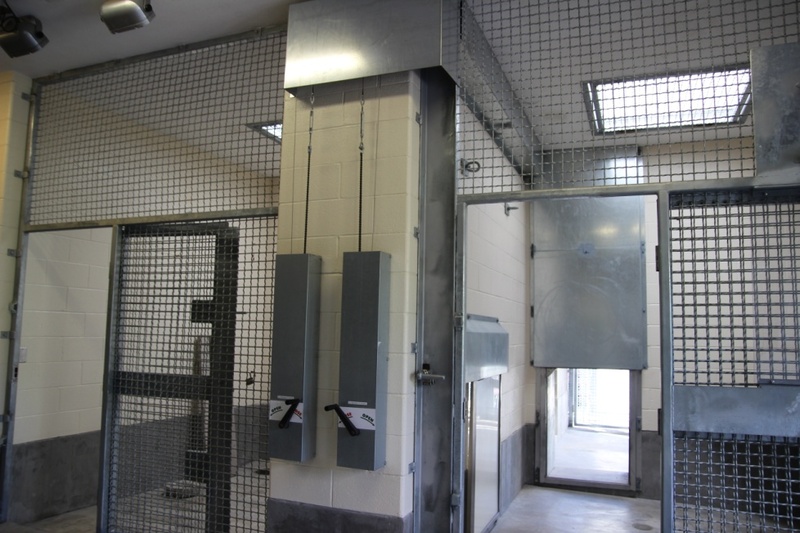 Medium duty sliding door hardware for the zebra would be increased substantially with extra heavy duty sliding hardware for rhino caging that needs to handle a door weighing several thousand pounds to safely contain the animal. Medical care is a whole other issue that zoo officials must deal with on a daily basis. The safety of handlers, veterinarians, and animals has to be considered. Although some routine medical care can be administered in sleeping quarters or holding areas, often animals must be moved to the zoo veterinary center for exams or surgical treatment. Crowding hardware is commonly used for some primates, felines and hoofed stock that can be guided from an entry area, down a corridor, and into exam rooms. Once the animal steps safely into the corridor, a special door closes behind the animal. This door, mounted on tracks, is pushed forward and locked multiple times so the animal slowly moves into an open exam room for treatment. Once the animal is inside, the room’s sliding door is closed to contain it. When it comes to things like sliding door hardware, remote crank operators, hinges, gates, fencing, and other materials that go into zoo exhibits, quality is of the utmost importance. Products with a strong warranty that are tested by a reputable manufacturer will often last longer than in-house fabricated solutions or lighter weight solutions that may temporarily work but quickly fail in a short time. There is no substitute for quality zoo hardware and no hardware that protects keeper and animal like Richards Wilcox Zoo Hardware.